Steve Brine was educated at Bohunt Comprehensive School, Highbury College and Liverpool Hope University where he read History and served a sabbatical year as President of the Students' Union. After graduating, Steve worked as a radio journalist spending time at BBC local radio and in Chicago. He has also worked in business and has experience in consultancy, marketing and publishing. In 2013, Steve was appointed as Parliamentary Private Secretary to the Minister of State at the Department for Work and Pensions. In 2014, he continued in this role for the Minister of State at the Home Office. 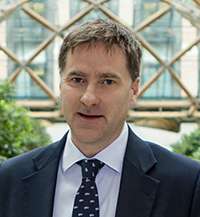 Steve became the Parliamentary Private Secretary to the Health Secretary in 2015 and then served as an Assistant Government Whip from 2016 up until 2017. Steve was appointed Parliamentary Under-Secretary of State for Public Health and Primary Care in June 2017, with a brief including health protection and improvement, international health policy and cancer. 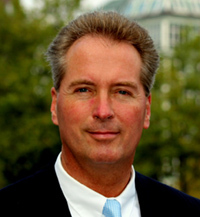 Steve has been MP for Winchester and Chandler's Ford since 2010. 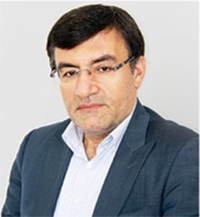 Dr Alireza Biglari is the head of the Pasteur Institute of Iran. He is a registered medical practitioner with post-graduate qualifications in Human Molecular Biology. The Pasteur Institute of Iran is well-known for its frontline research, innovative product and progressive education. It has international and national collaborations with a special focus on industry. 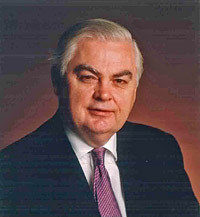 Previously the Chancellor of the Exchequer (Minister of Finance) from 1990 to 1993 in the John Major Government, Norman Lamont was Chancellor at a particularly difficult time with a recession and Britain's exit from the ERM. However many of his policies have been praised as providing Gordon Brown with a "golden legacy" in recent times. David Smith of the Sunday Times voted him the 3rd best Chancellor of the Exchequer since the War. Sir Alan Walters, advisor to Mrs Thatcher called him "not only the most effective but also the bravest Chancellor since the War". Sir Malcolm Rifkind called him "a very good Chancellor......with a passion for radical reform". He entered Parliament in 1972; first saw office as a Parliamentary Under Secretary of State in 1979 under Margaret Thatcher, progressing to a cabinet position in 1989. Lord Lamont is now a prominent exponent of the "Euro sceptical" wing in British politics, Co-Chairman of The Bruges Group and a frequent speaker on the radio and television. He is a former Chairman of the Cambridge University Conservative Association and President of the Cambridge Union. He is an Honorary Fellow of Fitzwilliam College, Cambridge. Lord Lamont started in business as an investment banker (with NM Rothschild & Sons) in 1968 and holds directorships with various companies; He has, in the past, been a director of two companies trading with Iran. He is a member of the Advisory Board of the Iran Heritage Foundation, a body promoting Iranian culture and art. Publications include, in addition to numerous newspaper articles, Sovereign Britain published in 1995 and In Office published in 1999. H.E. 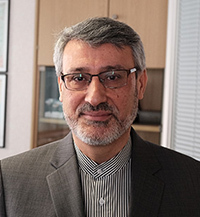 Mr. Hamid Baeidinejad, the new ambassador of the Islamic Republic of Iran to the United Kingdom, is a career diplomat in the Iranian Ministry of Foreign Affairs. He was born on 11th October 1962 in Tehran and graduated from the School of International Relations affiliated to the Iranian Ministry of Foreign Affairs in 1989 and joined the MFA the same year. He started his career as the expert on the UN affairs in the MFA and participated for the first time as the representative of Iran in 1991 in the UN General Assembly. He participated actively in the disarmament negotiations particularly on the Chemical Weapons Convention within the Conference on Disarmament in Geneva and consecutively its implementation within the newly established Organisation known as the OPCW in The Hague. Mr. Baeidinejad was assigned as the First Secretary from 1992 to 1996 to the Permanent Mission of Iran to the UN office in Geneva. He continued his career in Tehran as the Director for Disarmament in the MFA and from 1999 to 2002 was assigned as the Senior Counsellor in the Iranian Permanent Mission to the UN Headquarters in New York. After his return to Tehran he was appointed in the Ministry of Foreign Affairs as the Director for Multi-lateral Political Affairs and then the Director-General for International Political Affairs. He served as the Ambassador and Iran's Deputy Permanent Representative to the UN Mission in Geneva from 2008 to 2011. Mr. Baeidinejad's area of expertise is disarmament, international security and multilateral diplomacy and he has participated in many international and multilateral negotiations. He has been chairing numerous international meetings and has led Iran's delegations to many international conferences and meetings. In August 2013 until his recent assignment as the new Ambassador of Iran in London, Mr. Baeidinejad was Director-General for Political and International Security Affairs in the MFA and served as one of the senior members of the new Iranian nuclear negotiating team who negotiated the Joint Plan of Action (JPoA). He continued to serve as a member of Iran's nuclear negotiating team implementing the JPoA and negotiating the Joint Comprehensive Plan of Action (JCPoA). In addition to a great number of policy statements, working papers, policy papers and briefing booklets, he has written a number of books and substantive articles particularly on disarmament and multilateral diplomacy. Richard was a senior member of the Diplomatic Service until he retired in 2006. He has been Ambassador to Iran and before that was Ambassador to Libya. He studied Arabic at MECAS in the early 1970's and speaks French. He had postings in Amman, as Head of Chancery in Muscat and, during the early years of the Middle East peace process, as Consul-General in Jerusalem. He was appointed Head of Personnel in the Foreign and Commonwealth Office in 1998, but in 1999 was appointed Ambassador to Libya, when diplomatic relations were resumed after a 17 year break. Between 2003 and 2006 Richard was Ambassador to Iran, when he played a role in the European negotiations with Iran. Richard is a well-known writer and broadcaster on Libya, Iran and the Persian Gulf. 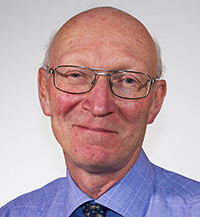 Lord Prior is Chairman of UCLH NHS Foundation Trust. Lord Prior was educated at Cambridge University where he gained an exhibition and MA in Law. He worked for Lehman Brothers and Lazard Freres in New York training as an investment banker and qualified as a barrister in 1976, becoming a member of Gray's Inn. He has held a number of senior positions within the industrial sector, including British Steel and was also elected MP for North Norfolk in 1997 and served until 2001. In 2015, he was appointed Parliamentary Under Secretary of State for Health and created a Life Peer. In December 2016, he was appointed as Parliamentary Under Secretary of State at the Department of Business, Energy & Industrial Strategy stepping down from this role in December 2017 to join UCLH but is a member of the Industrial Strategy Implementation Group. He is a Commissioner on the UCL Institute for Innovation and Public Purpose Commission on Mission-Oriented Innovation and Industrial Strategy (MOIIS) and a member of the working group looking at AI recommendations recently announced by the Prime Minister. Lord Prior is a Senior Advisor to Lazard's. 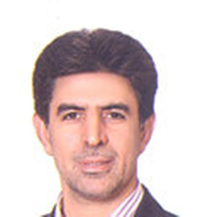 Masoud Khansari has a Bachelor of Science in Agriculture Engineering, University of Tabriz, Iran and a Master of Science in Systems Engineering and Programming, Institute of Management Study and Research, Tehran, Iran. Professor Nick Slevin is Clinical Director for Non-surgical Oncology at The Christie NHS Foundation Trust, with responsibility for Manchester Protons. He was the first chair of the National Cancer Research Institute's head and neck group and the Royal College of Radiologists' first lead of the head and neck electronic network. He is current Chair of NHS England Commissioning through Evaluation Advanced Radiotherapy, having moved from NHS England Radiotherapy Clinical Reference Group Chair (2012-2014). He was previously an FRCR examiner. Professor Slevin is one of The Christie's key international expert advisors, supporting healthcare organisations across the world as they look to develop and deliver cancer services. 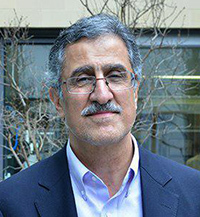 Masoud Nasseripour is since September 2017 the Dean of Iran University of Medical science, He was the Head of eye research centre of Iran University of Medical Science from 2003 until 2010 and the member of the board of Kermanshah University and the Head of Ophthalmology Department of Iran University of Medical Science from 2005 until 2007. He studied ophthalmology in Tabriz University of Medical science and spent 1 year in Wills Eye Hospital, USA. Keith Wellings was appointed Director for International Trade (Iran) and moved to the British Embassy, Tehran with his family in July 2017. He has worked extensively in private industry sectors ranging from manufacturing to venture capital and finance and has worked in Egypt, Bangladesh, Pakistan, Thailand and the United States. 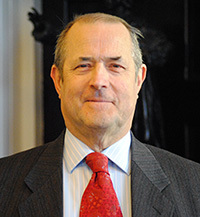 He has considerable experience of the internationally-regulated Food and Farming sectors from his UK Civil Service career with the Department for Environment, Food and Rural Affairs where he has worked on the European Union’s Common Agricultural Policy (CAP).Keith spent his formative years in Tehran as his father was also based at the British Embassy from 1975 -79. 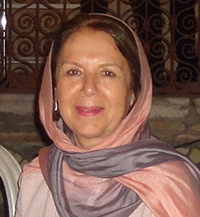 Ferial Mostofi is Chairman of K.D.D. Group. Ferial Mostofi obtained a BA honors degree in Economics and Statistics and holds a Master degree in Economics, both from the UK. 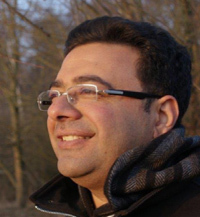 Dr Hamidreza Jamshidi holds a PhD in pharmacology from Isfahan University with a postdoctoral fellowship in neuroscience from the University of Alberta, Canada. He served as Chancellor of the Isfahan University of Medical Sciences. After spending many years at Isfahan University, he was appointed as Director of the National Health Sector Reform unit in the Ministry of Health and later became Vice Deputy for Health at the Ministry. Currently, he is the CEO of Barkat Pharmaceutical Group. 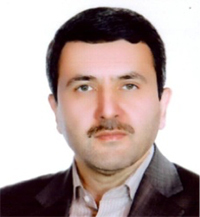 He is also a lecturer at the Shahid Beheshti University of Medical Sciences, a member of the Health Policy Council, and a member of the National Pharmacopoeia Committee at the Ministry of Health. As Country President for Near East, Rami Scandar leads one of AstraZeneca's most diverse areas, with 9 countries and more than 300 employees under his responsibility. Rami has more than 24 years of experience in progressively senior roles in the pharmaceutical industry across developed and Emerging Markets including French speaking Africa. Under his leadership as a Country President - Near East, he succeeded in rising AstraZeneca's rank to the "Top 3" position across the different markets. In AstraZeneca, Rami assumed various senior positions such as Marketing Director - AZ Egypt, Commercial director for the MENA region and Country President - Emerging MENA markets & French speaking Africa. Rami holds a BSc. 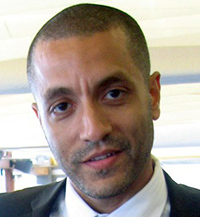 of Pharmaceutical Sciences from Cairo University and then in 1998 he pursued further MBA studies in "American University in Cairo" and later on post graduate studies from Harvard school. Ziba joined GSK Research and Development in 2000, progressing to the position of Director of Medical Affairs & Operations for the Psychiatry Development Portfolio. Subsequently she was Chief Operating Officer of the Clinical Imaging Centre at the Hammersmith Hospital and Head of Neurosciences Scientific Licensing, Worldwide Business Development. In 2010 Ziba became a Director for GSK's Investor Relations and in 2013 was appointed VP & Global Head of Investor Relations (IR) - directly supporting the CEO and Corporate Executive Team in their interactions with investors. In August 2016, Ziba took up a commercial role as VP & General Manager, Direct Distribution Markets, Middle East and North Africa (MENA), Pharmaceuticals, leading GSK's business across Afghanistan, Iraq, Iran, Libya, Sudan, Syria and Yemen. In October 2017, with the formation of the Export Markets organisation, Ziba was appointed VP & Cluster General Manager, Middle East markets, adding Jordan and Lebanon to her existing market responsibilities. Ziba holds a B.Sc in Pharmacology, an M.Sc in Toxicology and a Ph.D in Psychopharmacology from the University of Surrey, UK. She also holds an MBA from Imperial College London, UK. Abradat specialises in Islamic financings and debt capital markets. He is the global head of our Islamic finance practice and co-head of our Iran practice. Abradat also has extensive experience in securitisation and structured finance transactions. He is a world leader in his field of practice and has been at the forefront of structuring various Shari'ah-compliant financial products, transforming non-compliant structures into instruments acceptable to Islamic investors. He has acted on some of the most high-profile and significant transactions in the market for global financial institutions. Mr. Junge has been in Iran business for more than 30 years and he is heading Credit Dept. and Corporate Banking Dept. of Europäisch-Iranische Handelsbank AG. EIH Bank is headquartered in Hamburg/Germany with two branches in Tehran and Kish Island/Iran. The bank is providing to its international customers and correspondent banks a broad range of high level banking services related to business with the Islamic Republic of Iran. This includes payment services, guarantee issuance, advising of sight and usance letters of credit of its Iranian correspondent banks as well as confirmation and financing of such letters of credit. Mr. Junge will gladly be your contact person for miscellaneous banking aspects in Iran business. Dr Shadi Abu-Hayyeh is the Middle East Lead at Healthcare UK, part of the British Government, Department for International Trade. 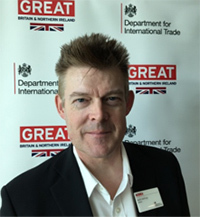 He manages a multimillion pound active portfolio of healthcare service opportunities on behalf of the British government, focussing on collaborations/partnerships between public and private Middle East stakeholders and British healthcare service providers. Areas of focus range from large hospital infrastructure projects to niche education and training healthcare management courses. With his team, Dr Shadi Abu-Hayyeh provides support to both British healthcare service providers that would like to step into the Middle East healthcare market, and regional healthcare stakeholders develop collaborations with the UK. Early on in his scientific career, SAH recognized the importance of private sector participation in clinical and scientific research. 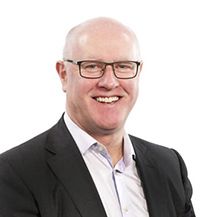 He spent several years at Accenture London, as a health and Life Sciences Consultant where he successfully led on projects to redesign FTSE100 pharmaceutical company R&D processes, as well as driving strategic programs of work to identify high performance factors of the top 10 global pharmaceutical companies. He took his commercial experiences back into academia by becoming a London Business School Technology Transfer Fellow, actively working with scientific researchers and clinicians to commercialize their intellectual property. Dr Shadi Abu-Hayyeh is an Honorary Research Fellow at King's College London where he is developing a program of translational research to understand how brown fat (good fat) can be pharmacologically manipulated to improve clinical markers of obesity. Shadi completed his undergraduate studies in Molecular Biology at King's College London, where he was inspired to pursue postgraduate studies in translational medicine, undertaking an MSc in Molecular Medicine and a PhD in Clinical Genetics at Imperial College London. His scientific interests have focused on energy metabolism, where he has published extensively about the liver's role in altered metabolism of bile acids, fats, and sugars under certain disease conditions. Farhang Daemi has enjoyed a successful 30-year international career in leadership and delivery of innovative businesses and programmes in the technology sector with a focus of the medical, healthcare and life sciences markets. He has a proven track record in initiating and winning new business opportunities and driving efficiencies and cost improvement through healthcare technology as well as commissioning and technology asset management of acclaimed healthcare facilities. 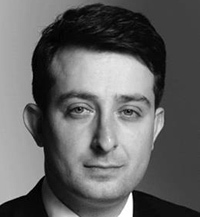 Farhang's career highlights include pioneering research leadership in advanced imaging technologies including Artificial Intelligence (AI) and Virtual Reality (VR), founding and directing multi-million pound technology initiatives and businesses, numerous international consulting and interim executive roles, development and global launch of multiple FDA and CE accredited medical software products and 6 years as an executive partner at Circle Health where he headed commissioning procurement and medical technology. In 2011 Farhang established Healthcare Technology Solution (HTS) as a technology management consultancy and project delivery professional services organisation. To date, HTS has delivered significant value to over 30 NHS and multinational clients including procurement and implementation of digital health and medical technology solutions, full life cycle asset management resulting in significant validated savings and business development leadership securing hundreds of millions of pounds of new business for the clients. 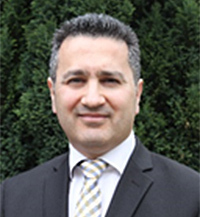 Farhang has degrees of BSc (Hons) and PhD in Electrical and Electronic Engineering from University of Nottingham in 1984 and 1990 respectively and is a professional member of the British Computer Society. He has published over 60 scientific papers and is a regular invited keynote speaker at international technology and healthcare events.